Beginning early next month, federal prosecutors will spend a week trying to convince jurors a 65-year-old Sequatchie County, Tenn., man planned an assault on a small Muslim community in northern New York. 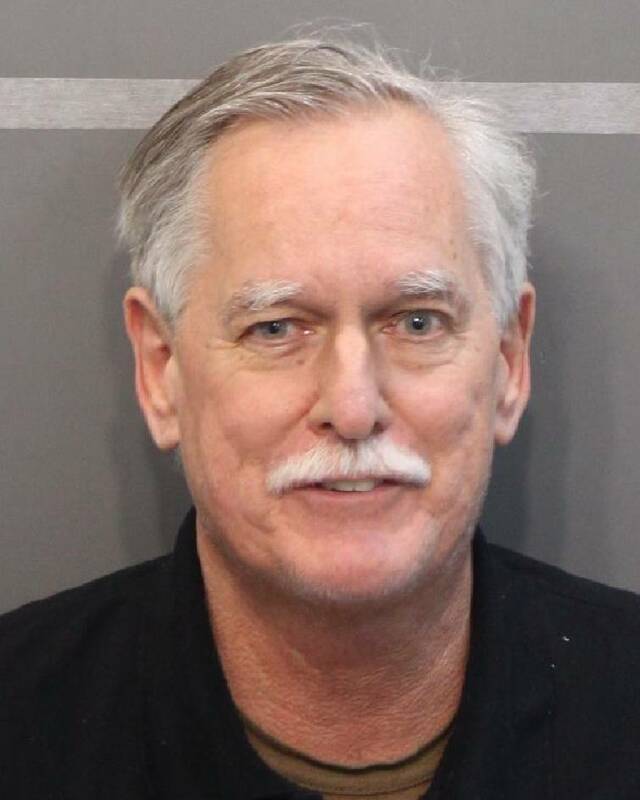 After several delays in his case, Robert Doggart's trial will begin Feb. 6, attorneys said Wednesday during his final checkup hearing in court. Authorities said the resident of Signal Mountain spent months gathering weapons and plotting an assault on Islamberg. The case against him will largely consist of conversations a Federal Bureau of Investigation agent wiretapped back in early 2015, Assistant U.S. Attorney Perry Piper said in court. "It's going to take about four days," Piper said, for the government to complete its case. After that, Doggart's defense attorneys will present evidence for two or three days. They also plan to file three exhibits into evidence before the trial date, but attorney Garth Best declined Wednesday to say what they were. Since August, Doggart's defense has fought to suppress the government's wiretapped information. According to court motions, Doggart met three individuals in April 2015 at City Cafe to discuss his plot. One of the individuals happened to be the government's confidential informant, who secretly recorded the conversation with a phone and videotaped it from his hat. Records show that U.S. District Judge Harry S. "Sandy" Mattice had authorized a wiretap on Doggart's phone about a month earlier because of an official affidavit. In it, an FBI agent said Doggart told a confidential informant on the phone that he wanted to visit Hancock, N.Y., to "recon" the area and possibly talk to some local officials. Doggart's defense, however, said that wiretap, which led to his arrest in April 2015, lacked probable cause on several grounds. First, the government didn't show that Doggart used a telephone to convey a threat, records show. Second, the government never established that Doggart used or carried his guns in connection with a crime of violence. Furthermore, the defense argued, the government relied on an informant who had been paid by the FBI and the Drug Enforcement Administration in other cases, "who came to the FBI with Mr. Doggart's name, hoping to be paid for working against him," and who didn't record all of their early conversations. U.S. District Judge Curtis Collier, who will oversee the trial, disagreed with the argument. "Although Defendant noted CS-1 [confidential informant] was a 'paid' informant, Defendant has not challenged the reliability of CS-1 in his motion," he wrote in a 16-page motion. Before closing the brief hearing Wednesday, Collier asked attorneys if there were any other outstanding issues. Piper said he also plans to introduce a few statements Doggart made when two FBI agents transported him to Hamilton County on April 10, 2015. "It's our position it was a volunteered statement," Piper said. "He was not [read his Miranda rights], but he started talking." The defense didn't have as much time to review them, however, because the statements fell through the cracks during the discovery process, Piper said. Before a trial, attorneys are often entitled to "discover" certain parts of the other's case. The defense said it would probably not oppose those statements coming into the trial and didn't need more time to review them. In addition to solicitation to commit a civil rights violation, Doggart faces one count of solicitation to commit arson of a building and two counts of threat in interstate commerce after prosecutors returned a stronger indictment last May. Each charge carries up to 10 years in prison, a $250,000 fine and three years of supervised probation, prosecutors have said.